LE CHEMIN DE STEVENSON. DAY 10. 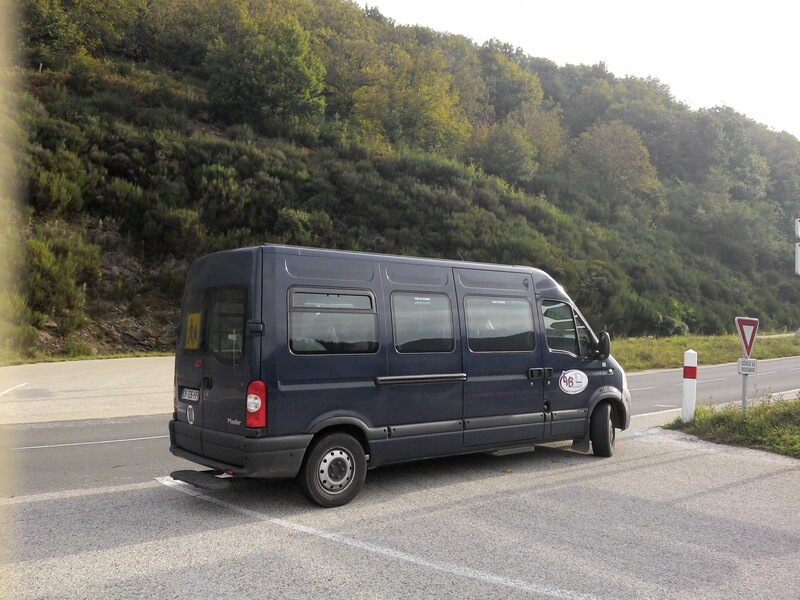 We couldn’t get any accommodation at the end of this stage but fortunately there was a bus connection. 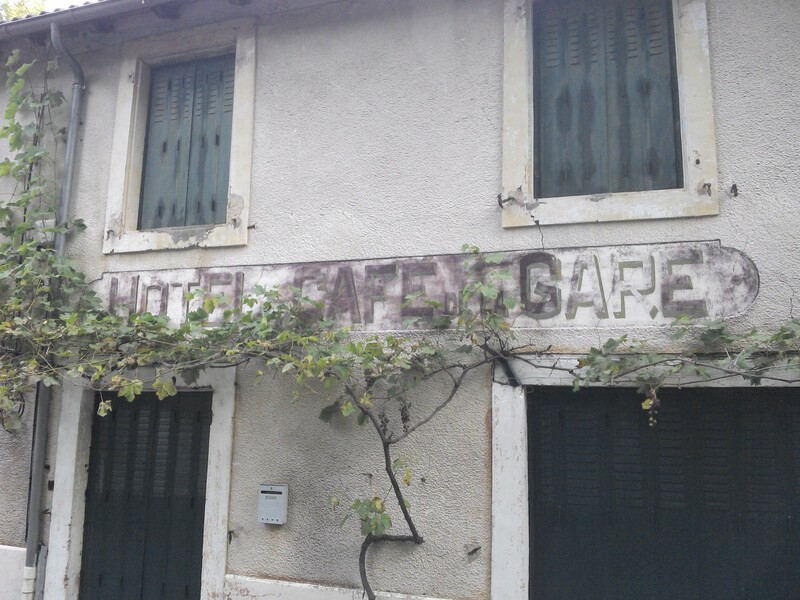 So we booked a second night in Florac, Enjoyed a superb breakfast and caught the 9.30 little blue bus to Cassagnas from where we walked back. 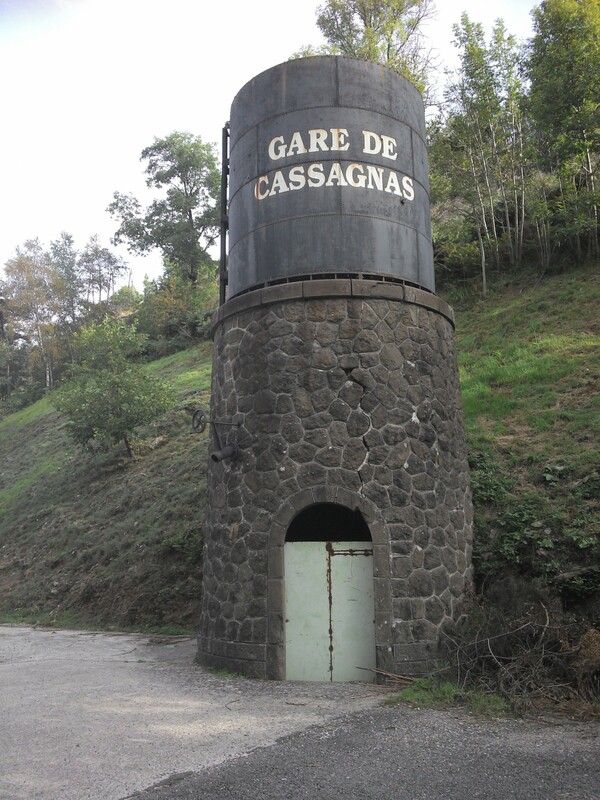 From the main road stop we walked down into the valley of Cassagnas old station and set off along the dismantled railway line westwards. This gave us easy walking down what in parts is a dramatic gorge. We marveled at the skill of the engineers responsible for this line. 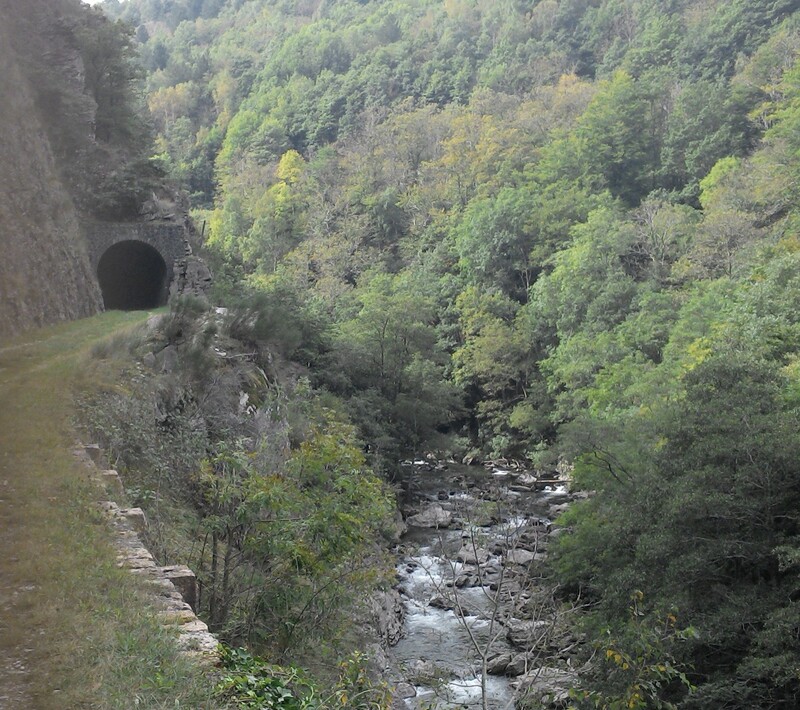 A lot of the time it was cut into the gorge side and there were several tunnels and viaducts. We recognised lots of walkers going the correct way and by the numbers could see why we had failed to get accommodation. 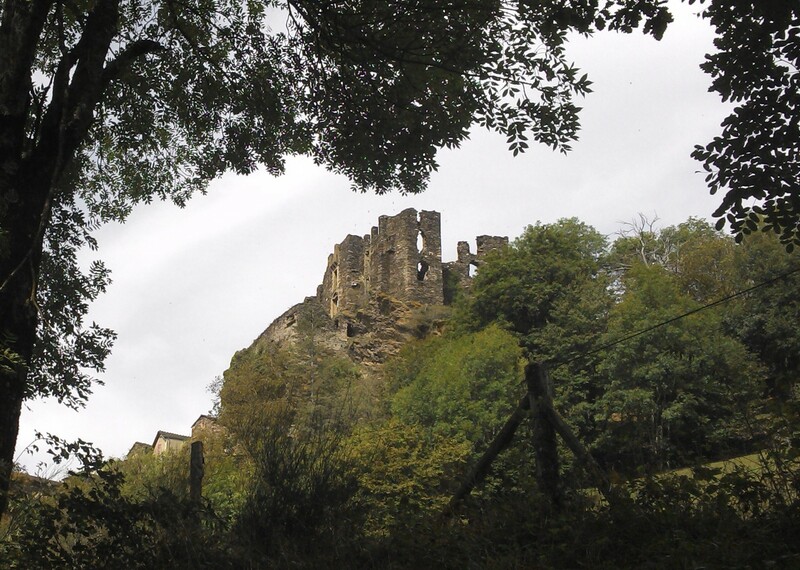 We met our friendly French 4 just below a castle high on the hillside. 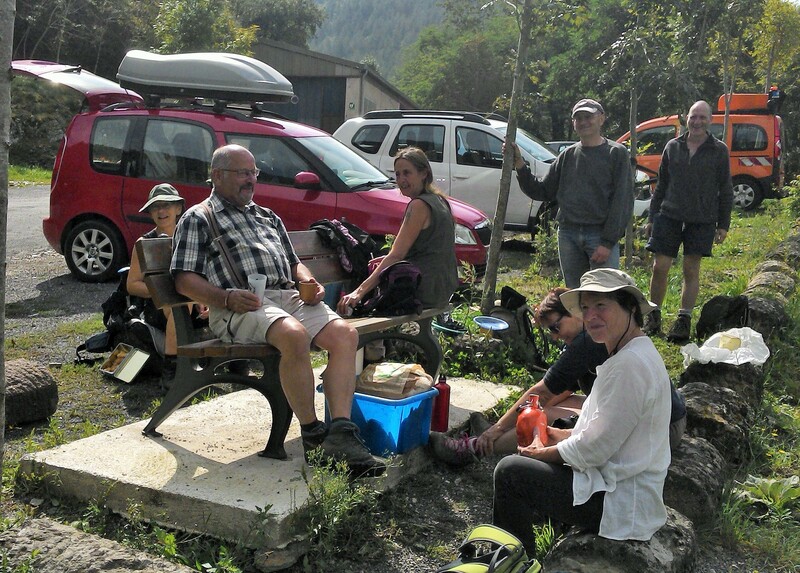 At the end of the railway section where we crossed a road we met up with ‘la voiture rouge’ jolly group picnicking as usual. They generously invited us to share a glass of rose and a snack with them. We stopped ourselves for lunch soon after and felt quite soporific with the sun and wine, I believe we may have nodded off. Across the road the path climbed unexpectedly into the forest and became a balcony style route. 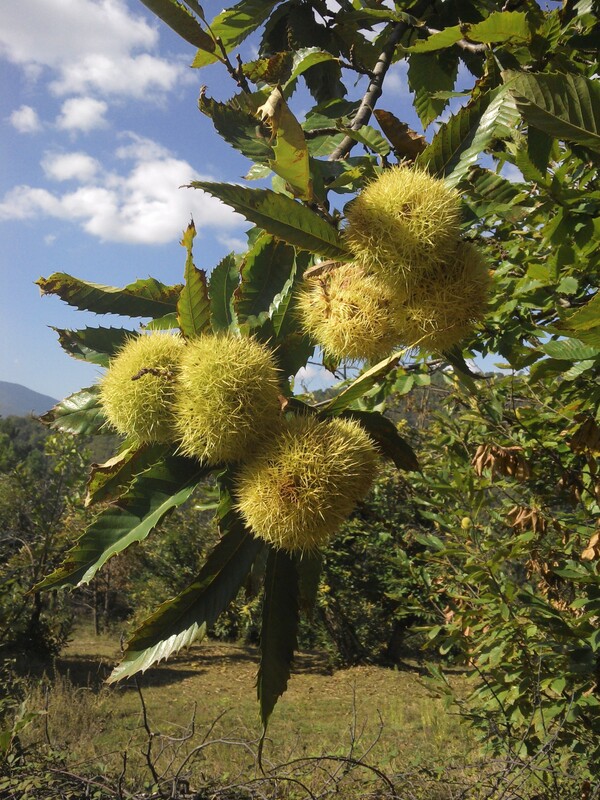 Most of the trees were chestnuts and there was a steady fall of ripe sweet chestnuts around us like grenades. 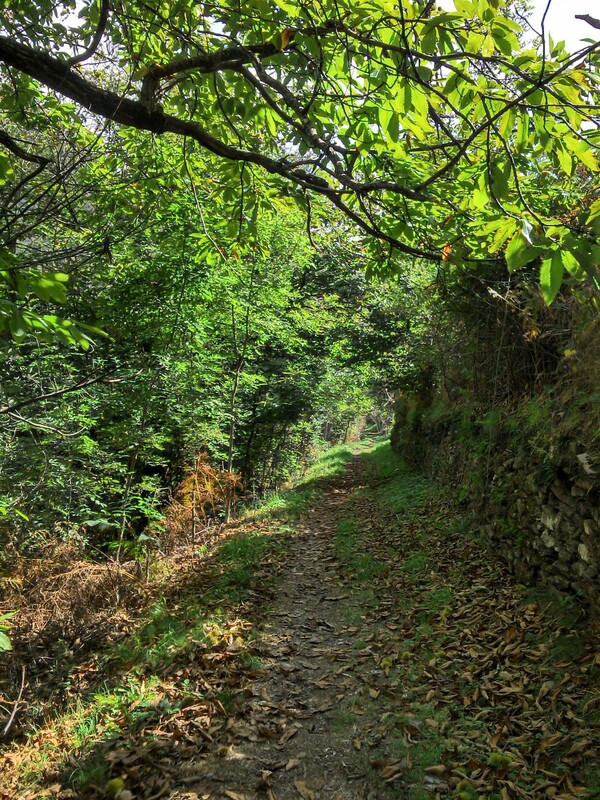 This old path has been found and cleared by the Stevenson Association to provide wonderful walking high above the river. Alongside is evidence of old terracing suggesting an active agricultural past of hard labour. The afternoon disappeared up here and we were glad to eventually start descending into the outskirts of Florac. 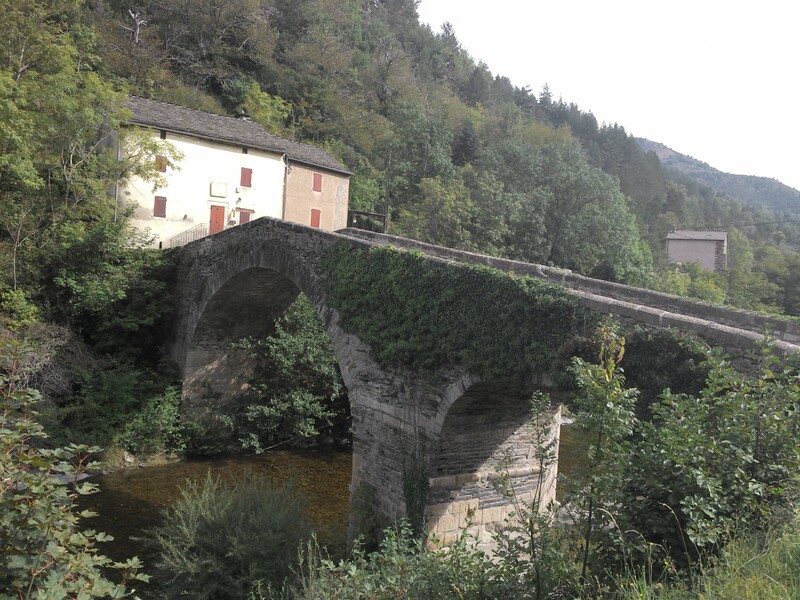 We approached the town from a different direction and found ourselves in a more attractive old district than yesterday. 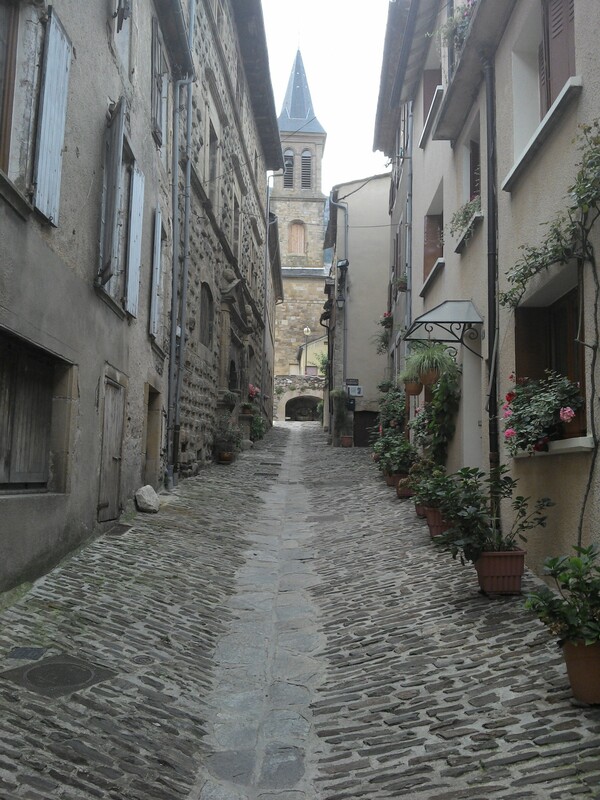 Our opinion of the place improved as we explored the narrow streets. There were several mill ponds within the town, complete with trout, adding to the attractions. 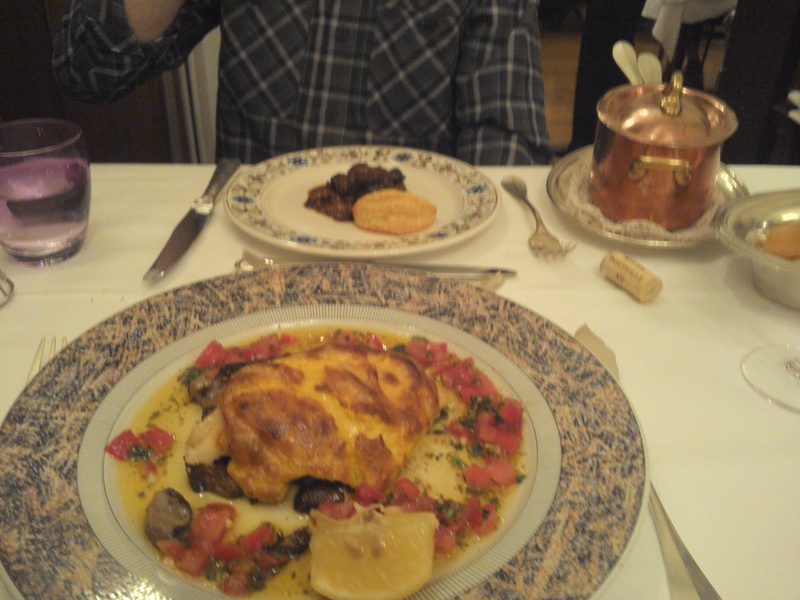 Tonight the restaurant at the Grand Hotel was open, saving us wandering the streets, and we dined in classic vintage French style. The dining room was busy, background piano music [sadly recorded] set the scene. The waiters were attentive and informative. the menu and wine list extensive, the food brilliant. 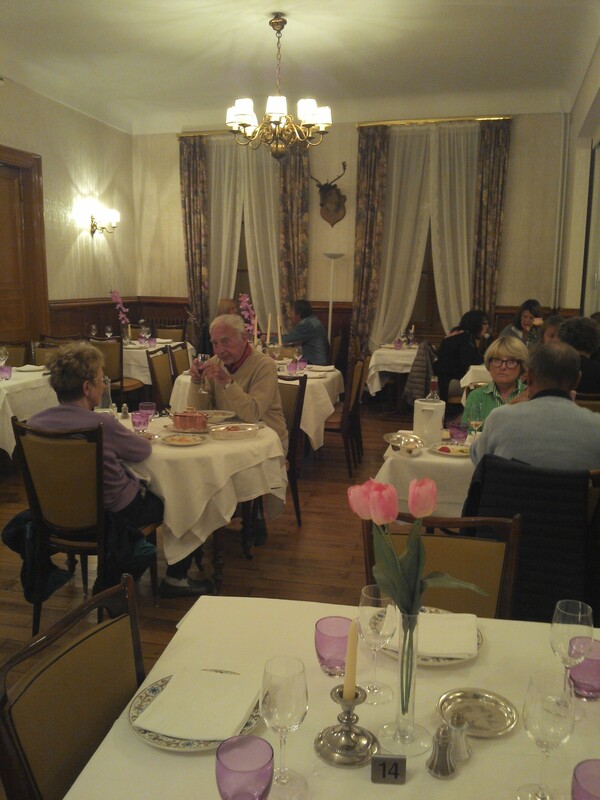 All for 24 euros for three courses, of course the local Cevenne wine cost an arm and a leg but was worth it. 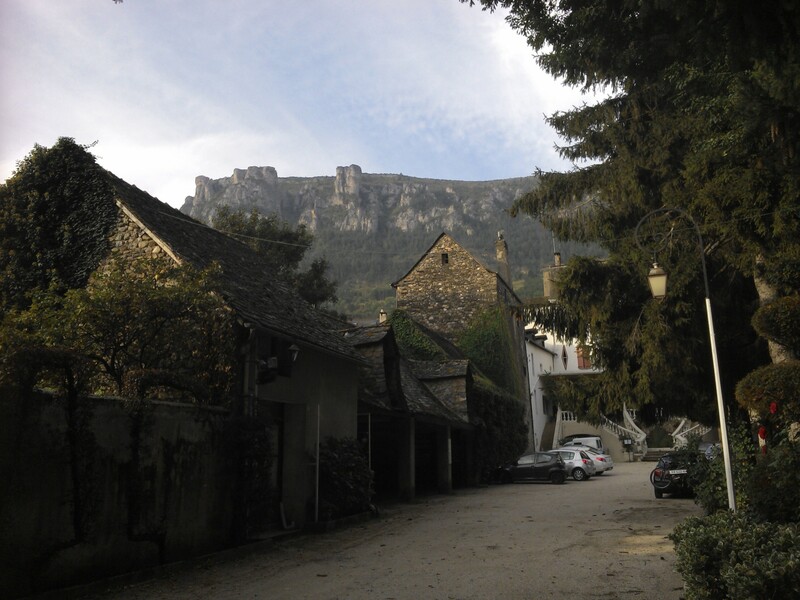 This entry was posted in France, GR70 France, Long Distance Walks., Walking. and tagged France, GR70 France, Long Distance Walks, Walking. 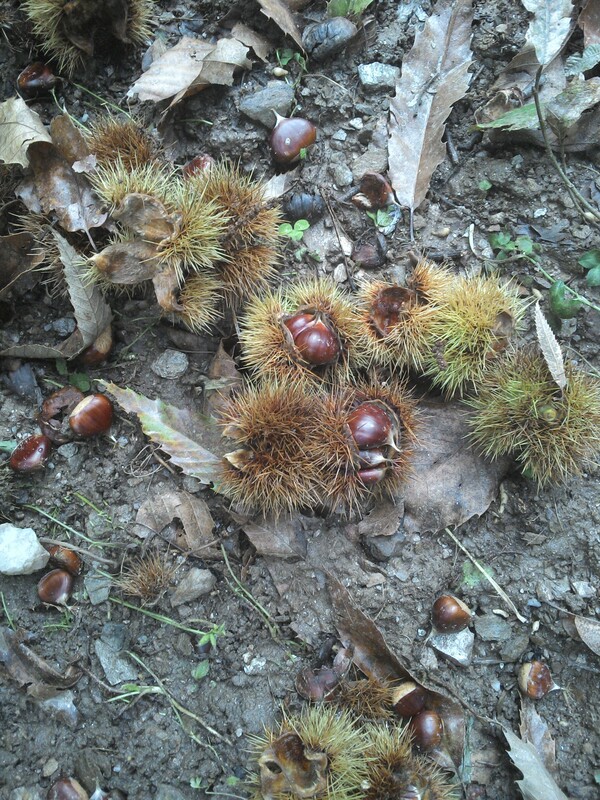 on September 28, 2014 by bowlandclimber.